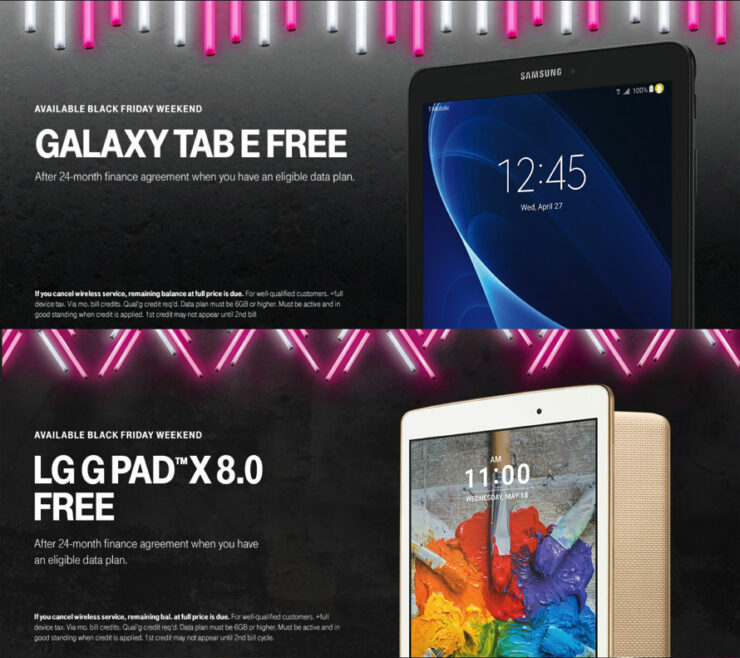 T-Mobile’s Black Friday 2016 ad has been posted online and several deals have been revealed which shoppers will be able to take advantage of. Everyone is getting into the Black Friday groove as we move closer to November 25th. That’s the day big retailers will reveal countless deals on pretty much anything we can lay our hands on. Of course, many different outlets are keeping things under tight locks to spark a sensation of surprise on the big day. But while many companies have kept things under wraps, few of them have seen their ads posted online early, giving shoppers a good sight of what they can expect come Black Friday. 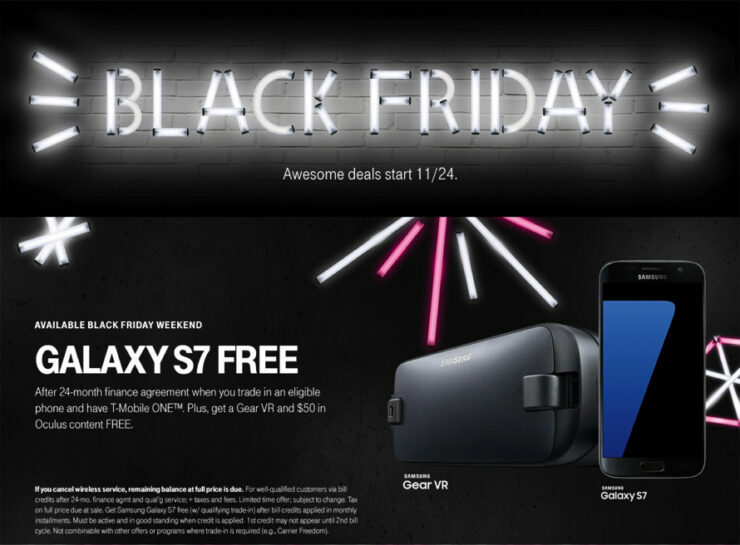 T-Mobile has seen its Black Friday ad posted online as well, and there is quite a lot going on for the amount that has been revealed. But quite frankly, the deals aren’t exactly what I’d say ‘mind-boggling.’ Probably because T-Mobile is reserving the big show for the big day itself. 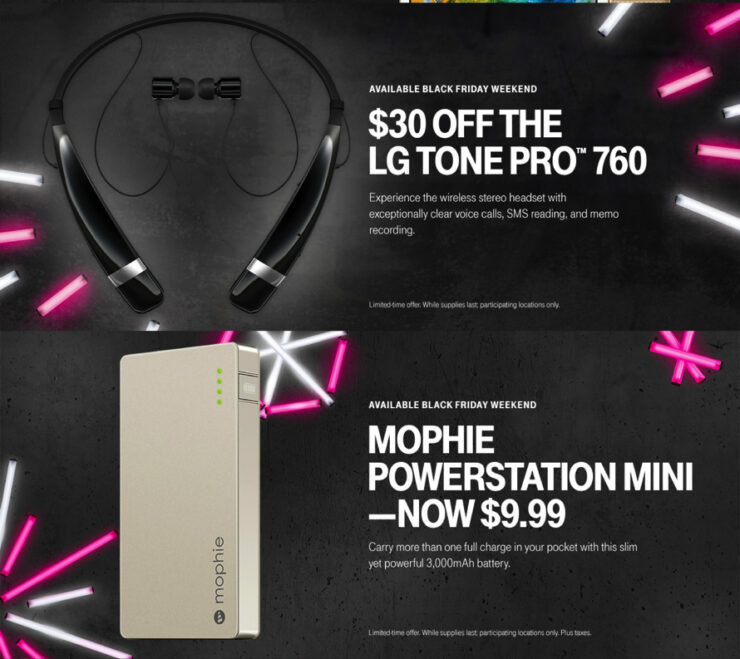 Nonetheless, here is the ad from T-Mobile, and these are the deals that come attached with them. According to the ad, the above deals will be available on Black Friday weekend. But of course, there’s no way T-Mobile is going to just put up five deals on the big day. After all, the iPhone 7 is missing in action along with a load of other flagships and tablets. We have high hopes in that regard, and we’re certain T-Mobile will not fail to impress in any way one can imagine. We will keep our readers updated when it comes to Black Friday deals. When the big day arrives, we are going to list down all the good deals which you shouldn’t miss out on. From smartphones to tablets or notebooks, we will have it all covered. It’s a good idea to hold back from buying anything at its regular price these days. There’s a probability you’ll end up finding a better deal on Black Friday instead. Everyone does, eventually, if past experiences are anything to go by. Just don’t be the guy who starts a riot over a cheap LED TV.